What does the HBPG do? Get everyone with a property purchase problem together so that, instead of all individuals feeling like an island on an Island , they could collate all the problems and issues and get them resolved quickly, lawfully and peacefully. To get some background on how these problems had arisen thereby preventing future buyers falling into the same trap. By achieving both of the above, to create global (especially European) positive awareness of the World isolation of the Turkish Republic of Northern Cyprus . Also to reduce the fodder for the Greek propaganda machine and maybe give something back to the Turkish Cypriots who have mostly welcomed foreign investors' presence here. The Group, administered by Marian Stokes with the help of the members, is a non-funded co-operative made up of like-minded individuals who have purchased a property either as a permanent residence, a temporary residence, a holiday home or an investment. They can be contacted on 0533 876 3780. 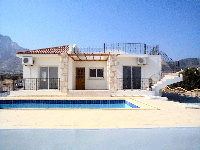 The HBPG has proved an effective lobbying organisation for disaffected UK purchasers of North Cyprus Property. They have taken an especial interest in the Gary Robb / Aga Developments problems at Amaranta Valley and have attempted to coordinate the various informal organisations which have sprung up in response to this long running saga. The HBPG has achieved media coverage by distributing leaflets warning potential buyers of the dangers involved in north cyprus property and by organising peaceful demonstrations and protests in North Cyprus. 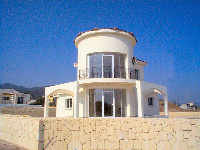 It is largely due to the efforts of the HBPG and Marian Stokes that the TRNC authorities opened a Property Complaints Office in April 2007. Complainants should contact Ms Tugce Volkan on 228 3141 x 204. In an effort to bring attention to the unresolved complaints of UK buyers of North Cyprus property, the HBPG published a 'Name and Shame' page on its website. This apparently was a list of 41 property companies with respect to whom HBPG had received complaints. The publication of the list in June 2007 caused considerable controversy as most of the TRNC builders and property developers were cited. The list has been subsequently withdrawn from the website as details have been handed over to the Property Complaints Office. HBPG have extended apologies to four companies named on the list, and one aggrieved builder, Mr Ali Ozman Safa, of Medview Homes, has threatened legal action based on defamation.